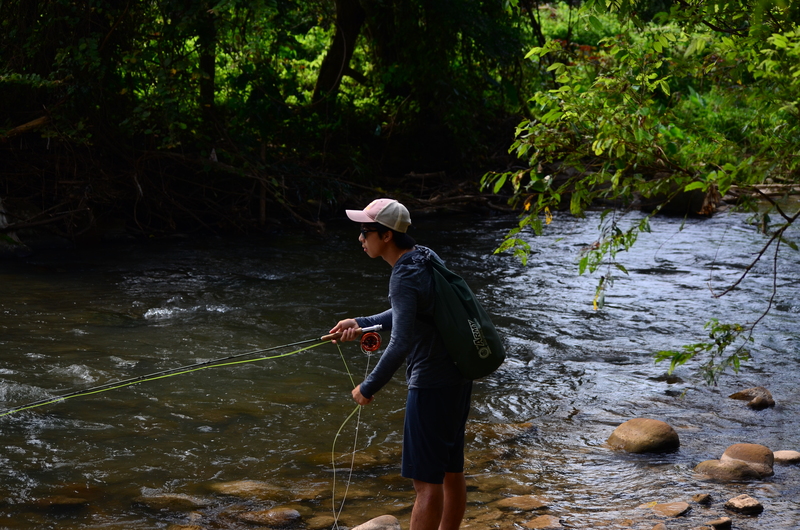 When in Borneo, fly fish for Mahseer. Oh, and climb Mt Kinabalu. The landscape is beautiful, the fishing is fun and the people are great. I’m not gonna lie though, it was tough. This was something I was entirely new to. Setting the hook on these fishes is not easy at all. Dry fy fishing for Mahseer is somewhat similar to fly fishing for trout in streams and rivers. You cast your best cast ever up stream, leave it and allow the dry fly to dead drift down stream hoping to see the white jaws of the Mahseer come up to take your fly on the surface. Then and only then do you strike, hoping that those size 8 hooks stick. It took a little getting used to but once I got into the swing of things, it got much better. So anyway, be prepared for loads of walking and being wet. Pack a pair of good shoes with good rubber soles. If you’re bringing along a significant other, which I did, fret not. There’s loads to do in Borneo for those who enjoy the outdoors and photography and loads to do in Kota Kinabalu for the others, haha. Ling had loads of fun hiking and watching me fail countless times. She also enjoyed a good tour of the village grounds on which we were fishing, experiencing village life – chilling and eating freshly plucked fruits and taking multiple naps. My point is, there is something to do for everyone, so be sure to egg that someone on and push through with the trip! Bring a friend, it’ll be fun! Take with you a reliable #5 weight rod and a backup if you have one. I used the Loop Opti Stream #5 as my main dry fly rod and the Sage XP #6 as my nymphing rod. The Loop Opti Stream is in all honesty the perfect rod for this exact kind of fishing and is an absolute joy to cast. You’d be casting all day so a light rod with a light swing weight will only do you good because trust me, once fatigue hits, mistakes are bound to happen. Mistakes then lead to frustration which leads to more mistakes and it all spirals into a complete catastrophic disaster. 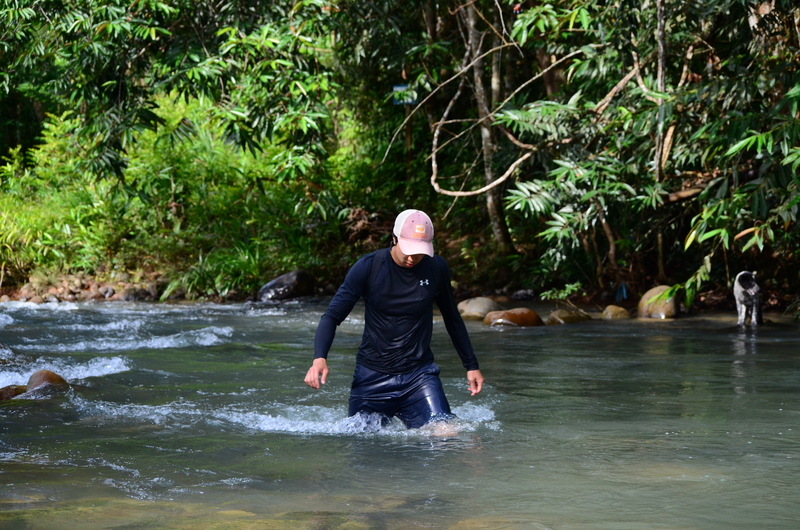 So, when in Borneo, definitely go fly fishing, you’d love it! The river systems in Borneo are protected by what is known as the Tagal system. 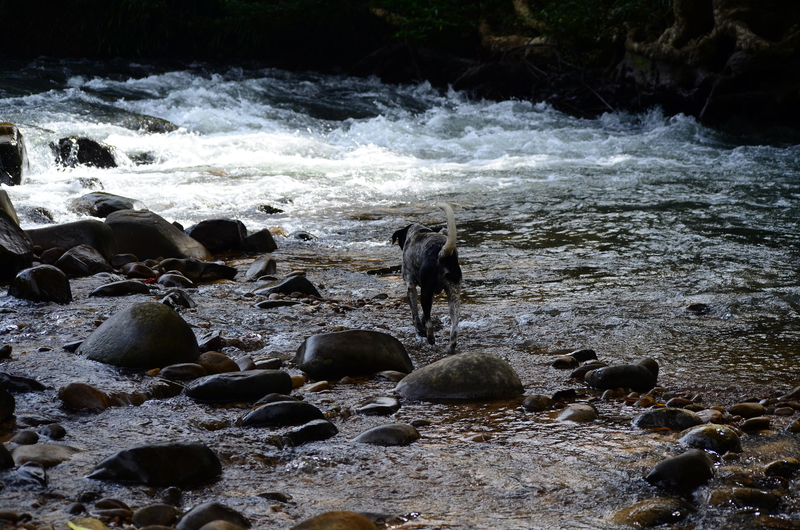 This ensures that the fish stock is healthy and that the rivers are clean. This also means the requirement for a guide. A guide is absolutely necessary in my opinion because, well my guide had knowledge of the river like no one else, he put me on some fish and gave me much more insight than I would otherwise have acquired on your own. It is safe to say I made a new friend. Also, if you’re planning on heading to the more challenging dense, secluded and wild jungles of Khao Sok National Park in Thailand to hook into some Mahseers, Borneo might be a good place to get the hang of how tall a task you’d be up against. If you want to find out some more about my trip or if you need any recommendations for guides, please feel free to drop me a private message here. 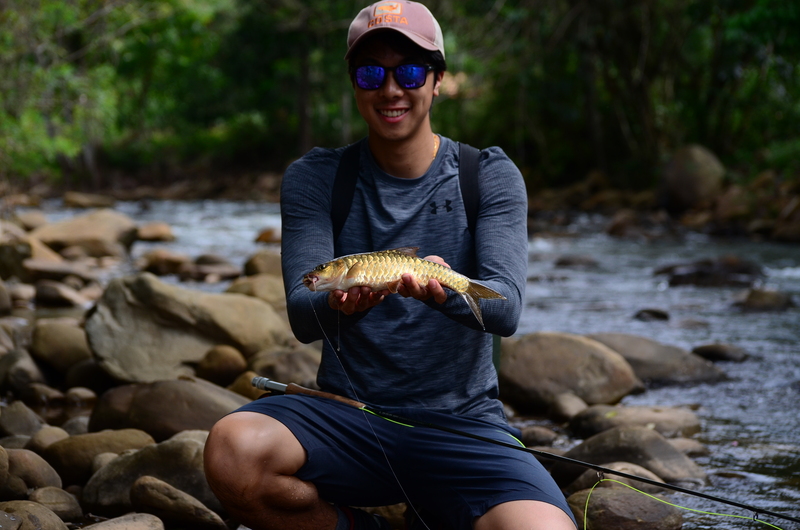 Or you could simply go to the very best guide in town at Borneo Fly Fishing Outfitters. Julio will definitely put you on some fish and oh, he takes some beautiful pictures too. Looks like fun. Dry fly fishing is my favourite way to fish !